We’re extremely excited to welcome The Northern Folk and Hailey Calvert back to The Old Church on the Hilll, Sat 10 Feb 2018. The Northern Folk were a stand-out act at Bendigo Blues & Roots Music Festival 2016 and 2017, making a mountain of new fans and deservedly so. Hailey Calvert is a longtime BB&RMF favorite and always shines on stage at the Old Church. With an a yet-to-be-announced special guest to play an opening set, this will be a special night on the tunes, guaranteed. 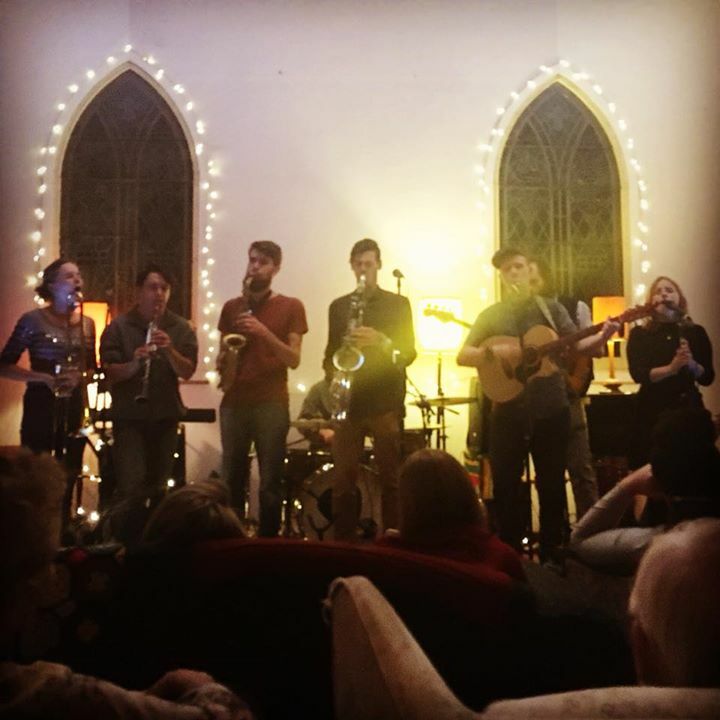 The Northern Folk are an 11-piece indie-folk outfit riding a wave of momentum from the release of their self-titled debut LP in 2015. Hailing from Albury, this collection of like-minded pals have been hitting the Australian highways to spread their sound. Full of energy and perfect for boppers and tail-waggers alike, The Northern Folk top warm harmonies with big horn sections off with groovy bass lines, and will be sure to have you foot-stomping and humming away. It’s stopped people in their tracks in Brisbane’s Queen Street Mall, had her sing backing vocals for Michael Bublé , taken her overseas and all over Australia and been shared in wonder by the U.K’s Passenger on Facebook. Hailey Calvert’s voice is undeniably incredible. Its that warm and breathtaking blues voice together with impressive guitar skills and relatable stage presence, as well as an achingly honest song writing style that makes each audience member feel like they are the only people in the room to hear her stories. That song writing style saw her take out the Blues category in the 2015 International Songwriting Competition; a worldwide comp entered by over 18,000 entries from 20 countries. A regular festival player, Hailey has graced the stages of Bendigo Blues and Roots Music Festival four times and Woodford Folk Festival three times just to name a few. A Bendigo icon, Skip is one of the most respected musicians and songwriters in Central Victoria as well as a valued contributor to the community, through the work he does at his revolutionary music school ‘Rock Pride Music’. Although performing with his band mostly these days (Skip & The Lost and Found Dept.) Skip’s solo performances are a sublime and always moving experience. The Singer/Songwriter Showcase events, staged at the Old Church by the Bendigo Blues & Roots Music Festival crew on a semi-regular basis, are an opportunity to enjoy a House Concert vibe in a public venue. The door charge is generally $15 for adults, under 12s free and, although drinks are available for sale, the focus is on THE MUSIC. If your conversation is more important to you than other people’s enjoyment of the artists’ performance, please take it outside. Proceeds from drink sales go to supporting the Old Church crew and their many worthy initiatives. Sound production is provided by R&J DJ & Entertainment and the door takings are able to be shared between the performers with thanks to our valued sponsors at Kensey Care (www.kenseycare.com.au) picking up the costs that would normally come out of the door. We look forward to your company for an intimate concert experience like you’ve likely never experienced before. Alawishus Jones and Stella Savy Avek Frers LIVE!